Orphan Europe is an associated partner with expertise in the setting up and oversight of registries and expert networks. Orphan Europe will be involved in the continual evaluation and oversight of the project implementation to measure progress against indicators and objectives. 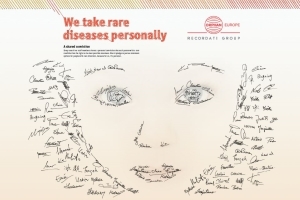 Orphan Europe, part of the Recordati group, was founded in 1990 to develop and bring orphan drugs to the market for rare disorders. Orphan Europe has extensive experience around the development of clinical trials for orphan drugs and in specialist regulatory requirements. Our infrastructure has been developed for the novel needs of producing, packaging and distributing very small numbers of specialist products to people around the world.